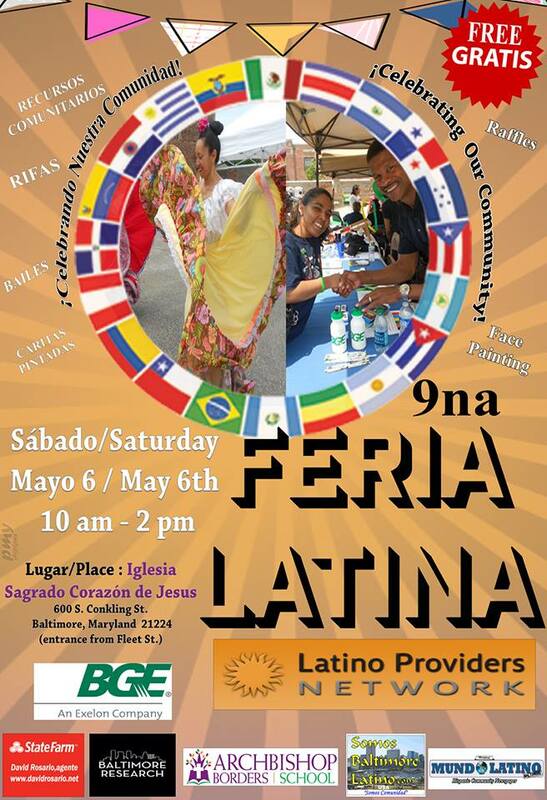 Join us for the 9th Annual Feria Latina on Saturday, May 6 from 10:00am to 2:00pm! The goal of this event is to to provide a quality event that celebrates the Latino community and its culture by delivering information and direct services to participants and providing an opportunity for our members to network with the community. For organizations that are interested in being a sponsor of or a participant at this year's Feria, please visit our Feria Latina page for more information. If you are available to volunteer at this year's event, please sign up here. Special thanks to BGE for their generous support of our educational workshops, including the Feria Latina.